King Gizzard and the Lizard Wizard are continuing their charge to becoming our favourite Australian band. Their Glastonbury Festival appearance last year left us impressed, then came last their album Paper Mache Dream Balloon, an acoustic rock re-imagining of a 1970s kids show soundtrack, which was as superb as it sounds. Now they are back again, barely having time to catch breath, to unleash a fully plugged in rock onslaught. Called Nonagon Infinity, the entire nine-track album is like an extended rock jam, taking in science fiction, monsters and naturally some awesome guitar riffs. At first the tracks are loosely based around the various fantastical things that emerge from the ‘Nonagon Infinity’, whatever that is. Be it robots, a gigantic wasp or people-vultures. By the end that idea seems to fall away and there’s just some damn fine songs left. Invisible Face is among the best, complete with psychedelic calypso breakdown. The Gamma Knife and People Vultures segment is another and also spawned one of the year’s most ludicrously fun videos. It’s all designed as a continual loop with the final track Road Train merging back into first track Robot Stop “like a sonic mobius strip” says their press release. What I like about this band most is their sense of fun but don’t mistake that for parody though. While they don’t take themselves too seriously they are still properly good at the art of creating excellent psychedelic rock. 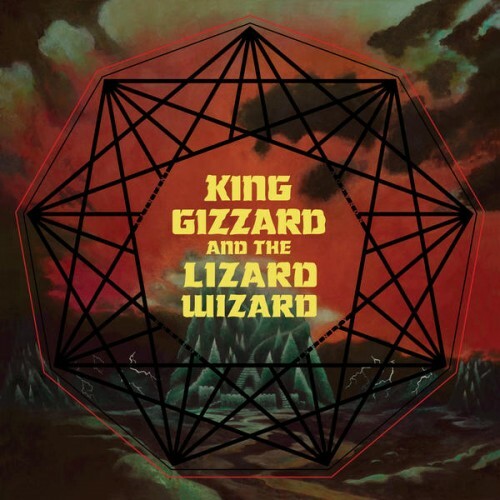 For more information about King Gizzard and the Lizard Wizard – Nonagon Infinity click here.